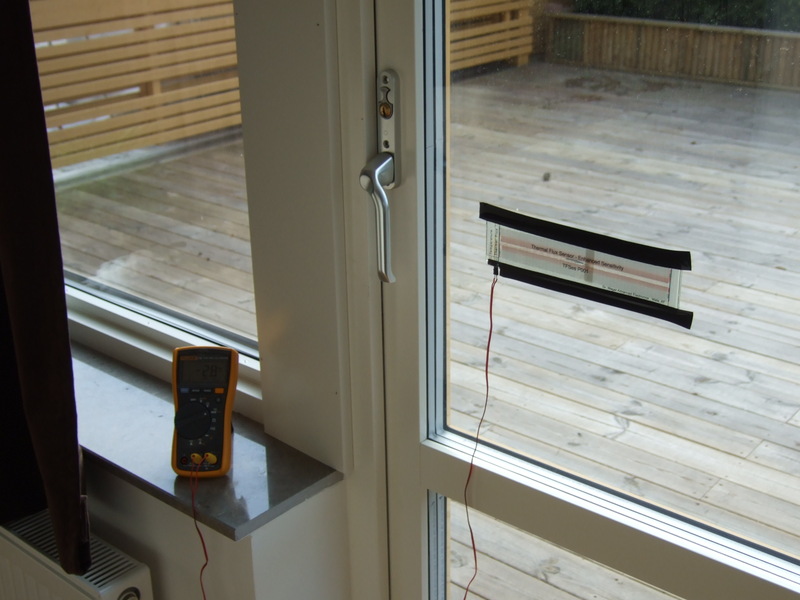 A unique device for measuring the heat flow through windows, walls, roofs, heaters, storage tanks, etc. The TFSes has proved its superior quality in thermal analysis of buildings, in heating technology and solar engineering. It may as well be combined with thermographic imaging. Technical details can be found in the Data Sheet TFSes. 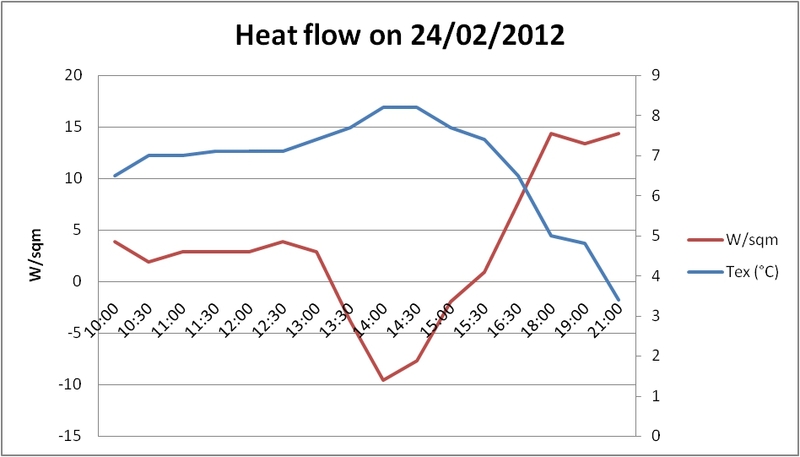 A typical heat flow measurement may look as follows: In this figure the red line denotes the heat flow measured in W/sqm and the blue curve symbolises the external temperature in degrees C.
A more detailed account on a series of measurements can be found here. For further information contact manfred.jacobi (at) gmail.com.